From Phantom of the Opera to La Bohéme, Philly has it all! There are plenty of shows in PA to check out. Rich with various opera groups and shows, plan your trips ahead of time to see them all! Check out our in-depth guide to find the hottest shows in town! Opera for the 21st Century! 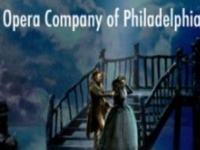 Opera Company of Philadelphia offers a variety of large scale works in a more new wave type of presentation. Shows typically range from 2 hours to 4 hours depending on the show. One of their most prominent shows is La bohème typically shown in the month of October. OCP has been around for over 35 years and developed a reputation of having some of the brightest performances around. OCP does not require typical "fancy" opera attire, but in the spirit of enjoyment wants you to wear whatever you feel comfortable in. Don't miss out on their famous Hallelujah Chorus featuring over 650 singers! So plan your trip to one of the most interesting opera shows in town! Dedicated to not only bringing you the finest canonized operas, Center City Opera Theater strives to bring new and interesting operas to the stage. Evening shows begin at 8 pm and afternoon shows start at 2 pm. Purchasing a ticket beforehand grants you access to the pre-performance talks to learn more about the show before watching it! The three relatively newer shows are Creative traditions, La Traviota, and Satan's Bride shown in November, May, and June respectively. 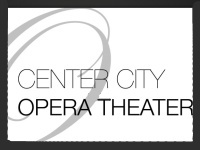 Center City Opera Theater has affordable pricing and all shows are shown at Prince Music Theater. So if you're ready to see some new opera you've yet to experience, grab a ticket and head on over to Center City Opera Theater! 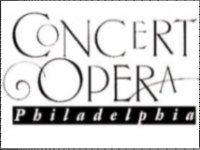 Founded in 1995, Concert Opera Philadelphia or COPA has been committed to providing the community with some of the most well-known operas as well as introducing them to many lesser known. For years, COPA has been putting on performances with the top singers in the area in order to better the performance for you, the theater-goer. One of their more popular shows is Un Ballo in Maschera (The Masked Ball). Performances for this show generally begin in the middle of March. Check out some of their other classical shows and experience the ingenuity that is Concert Opera Philadelphia! Watch the Young Rising Stars! 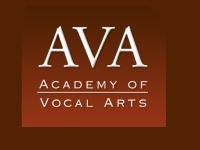 Students at The Academy of Vocal Arts are trained to become international opera soloists. Don't think you're getting a cheap performance though! These students are some of the best young stars around performing in at least 4 different shows annually! AVA is committed to giving these young stars a stage to perform their hearts and souls out for the audience. These artists perform many new rich pieces to keep the show fresh and exciting for their viewers. Single tickets are available as well as yearly subscriptions. So you can sign up to purchase tickets for one show, or as many as half a dozen annually! Give these up and coming artists your ear, and they'll surely return the favor tenfold! The Oldest Opera House in America! 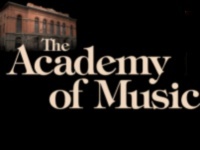 If you love opera and have seen all your favorites countless times then The Academy of Music is a must-see! Nearly 150 years old and constructed in 1857 The Academy of Music is not only a magnificent display of performing arts but stands as a historical landmark in Philadelphia! This opera house plays host to many of the performing arts companies in the area. Be sure to check out Warhorse in November and the always stunning Nutcracker in December. This house full of history and wonderment is sure to impress even the most seasoned opera-goers and acts as a wonderful introduction to first-timers!